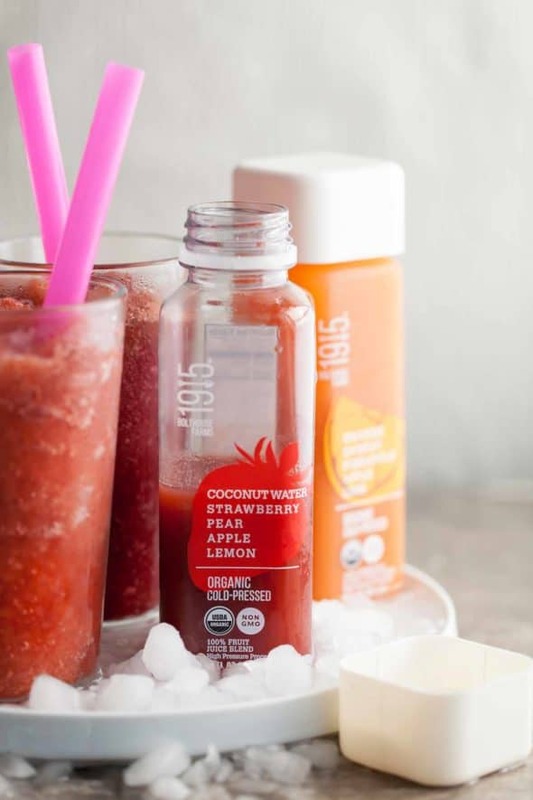 Keep happy and hydrated with a simple homemade slushy made with cold-pressed juice and fermented tea. There’s nothing quite like treating yourself to something cool and frosty on a hot day. Maybe it’s just nostalgia for those carefree summer days of childhood, but I like to indulge myself a bit more during this time of year. I don’t know about you, but for me that usually means lots of popsicles, granitas and the occasional frozen cocktail. Oh and slushies, lots of slushies. 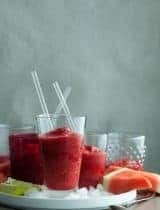 Now I’m not talking about the chemical cocktail you find at the nearest convenience store, no I’m talking about refreshingly ice-cold slushies made right at home with fresh ingredients. But you probably already knew that if you’ve been here before. 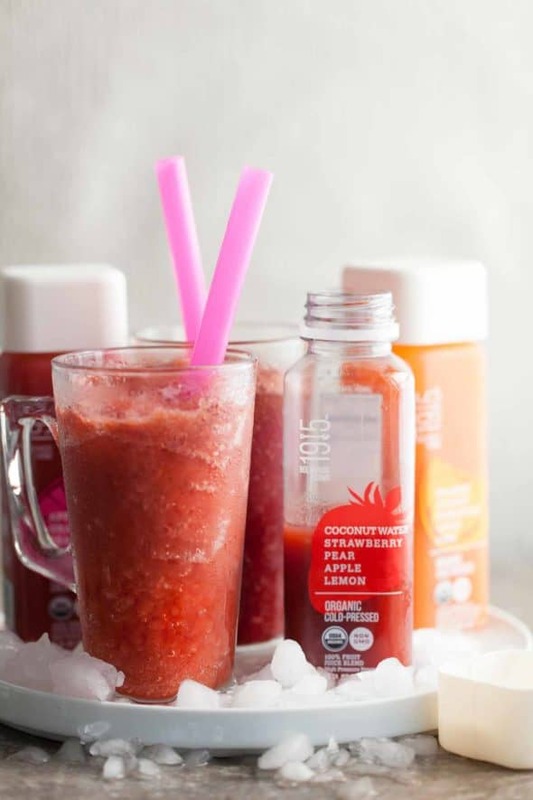 It doesn’t take much to make a healthier slushy at home. All you need is some fresh juice, a little bit of sweetener and an ice cream machine. I’ve been using 1915, Bolthouse Farms’™ new organic cold-pressed juices to make things even easier when I’m not in the mood to pull out the juicer. The 1915 juices are all organic, non-gmo and cold-pressed not heat-pasteurized which I love. They also have some pretty terrific flavor combinations like, coconut water, strawberry, pear, apple lemon and beet, carrot, orange, lemon. I then add a generous swig of raw kombucha to give my slushies a little extra pep. 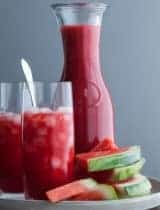 If you love the refreshing zing of kombucha then this is going to be your new summer favorite! You can use your own homemade brew or store bought (just make sure to buy the raw unflavored kind). 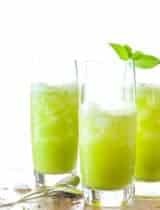 Its unique flavor compliments the sweetness of the juice and adds a probiotic boost. All you do is whisk together the juice of your choice with a little honey and the kombucha, then pour it into the ice cream maker. The slow churning action of the ice cream maker is what gives the slushy its characteristic texture. This icy cold kombucha juice slush is the perfect summertime thirst quencher, or any time of year after a long hike or after a hard workout. This icy cold kombucha juice slush is the perfect summertime thirst quencher. Whisk the juice and honey together until fully combined. Stir in the kombucha. Pour the mixture into an ice cream maker and freeze according to the manufacturer's instructions. 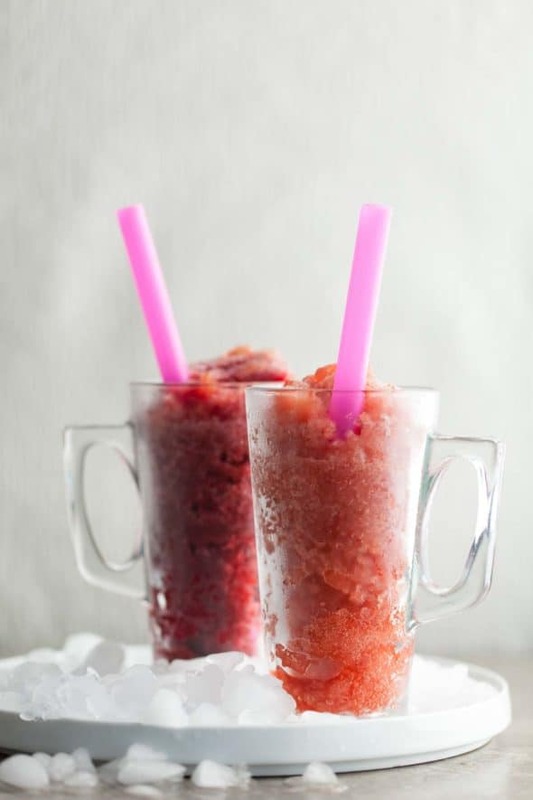 Serve immediately or pack slushy into a freezer-safe container and store in freezer until needed. When ready to serve leave at room temperature until softened, then stir and serve. And thanks to Bolthouse Farms™ Gourmande in the Kitchen readers have a chance to win a box of 1915 beverages ($40 ARV). Just enter below for a chance to win. 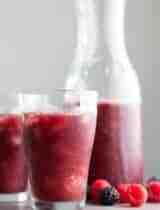 What phenomenal fruit juices! I can see making lots of frozen slushies over the summer. Gorgeous!!! 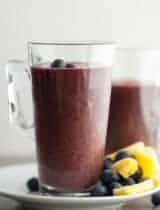 I'm so loving this fresh and healthy take on a slushy! Now I need to be on the lookout for some 1915, Bolthouse Farms’™ organic cold-pressed juices! I've never seen those organic cold press juices. MUST GET ONE ASAP. What a fantastic idea! I can imagine the kombucha gives the slushy a perfect refreshing pep! I am loving the availability of all the raw juices lately. 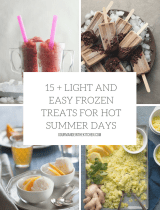 These look so good - especially with how've you've made them into a slushy, AWESOME! This is so up my alley!! What a creative idea! I'm all about the slushies, especially with this warm Cali weather! And such a great combo with kombucha - love it! This combination is seriously so creative! Kombucha straight up is a favorite but paired with fresh juice in slushy form? Totally sold on this for summer! 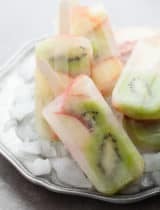 I tried this recipe and its absolutely delicious and refreshing. 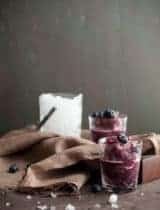 what ice cream machine can I use to make this? Any style ice cream maker will do here, either a canister type or a self-cooling model will work. What you want is the continuous churning action.